A victim of California’s deep education cuts in the Spring of 2009, the Santa Barbara County Teacher of the Year for 2006-2007, Mr. Ron Zell, received a pink slip and was informed that his services were no longer needed, in spite of his award-winning programs and amazing contributions to the community of Buellton, California. When people hear that teachers like Mr. Zell are receiving pink slips, all across California, they express shock and indignation, that is somewhat different from the way that these cuts are discussed abstractly. It’s one thing to say California is cutting 11 billion in education and that 30,000 teachers are receiving layoff notices. It’s another thing entirely for people to learn that their community schools are ending the programs that they’ve had for decades, and that some of their most prized educators may soon be unemployed, with little opportunity to teach elsewhere. THIS IS WHAT EDUCATION CUTS MEAN. About 85% of education funds are used to pay for staff. When cuts occur, it is inevitable that teachers and other education employees will lose their jobs. Some people don’t understand that this 85% ratio is a result of education spending being HIGHLY EFFICIENT. True, we spend a lot of money on testing, some on transportation, some on facilities, etc. But when it comes right down to it, almost every penny of education funds is used to pay for people who work with students. We don’t have enough money to waste. Cuts to education, therefore, directly cut services to kids, reduce course offerings, and make class sizes larger. Conversely, education increases, like those proposed by the Obama Administration, directly increase offerings to students, decrease class size, and make jobs for teachers and other education professionals. California cannot continue to hold onto any hope of maintaining or improving its economy without providing the public services needed by its citizens and demanded by the companies that make or would make their home here. Thank you students, parents, teachers, and involved citizens. Thank-you for being here, for turning out to support teachers and students in this statewide Day of Awareness and support for our schools, Pink Day. Let me introduce myself, – My name is Ron Zell. I am the music teacher for the Buellton Union School district. I teach over 500 students per week in classes from Kindergarten to 8th grade. I am the 2006 Jonata School Teacher of the Year. I am the 2007 Santa Barbara County Teacher of the Year and a nominee for California State Teacher of the year. In 2008, I was selected to speak at State Education Conferences in Sacramento, San Francisco, and the Central Coast. My topics were “Quality in the arts and in Education”, “Technology in the arts and in education”, and the importance of Community in the Arts and in Education. In 2009, I have a new distinction. I have received this years token of appreciation from the State of California for my years of service to my students and my community. I have received my pink slip. This is the way that California shows its gratitude and also its farsightedness in planning for education I have been laid off, pink-slipped in Buellton. Myself, and nearly 30,000 or so of my colleagues services are no longer required, says the state. Colleagues who like myself, give of themselves daily, are over-worked, underpaid, and directly influence the future of millions of young people in this state. Thank-you very much says California. You’ve done a great job, but we have mismanaged the finances of this state so badly that we need your help. Would you just walk away from a career where you are desperately needed, and we’ll ignore the sacrifices that you, and every teacher like you have made daily to bring quality and excellence in education to the students you teach. We get paid, says the state of California, to govern, and to plan and prepare for the future. We just never thought that there would be an economic downturn. We thought we could keep spending, and borrowing, raising taxes and selling lottery tickets, and everything would be okay. We didn’t think that we would ever be called to account for the billions of dollars we waste each year. We just kind of forgot about planning ahead for education. After all, – its only kids, and they can’t vote. Now we HAVE to cut the education budget. How else do you expect us to pay for our mismanagement. And you teachers, – You know all of those years of schooling, and training, and experience, and sacrifice and caring and giving, that everyone of you do. – Sorry about that. Maybe students won’t notice the over-crowded classrooms that they’ll be forced to be in next year. Maybe parents won’t notice the wider achievement gaps, the loss of programs, the lower test scores, or the unsafe campuses that will result from overcrowding, and too-few teachers. I can’t conceive of what this state will be like with the undervalued, underfunded and understaffed education system that will result from these budget cuts. I do however fear that the state will need more money in the very near future for new projects, like the new prisons that it will need to hold these kids who will be dropping out of our failed educational system. Hey, – Maybe we can even afford to put arts programs in the prisons, because the arts are one of the few interventions that has been proven to mediate violent behavior in abused children. Too bad we can’t afford the Arts in our schools now, but then, that’s another part of our state’s not planning ahead. I am furious that billions of tax dollars go to investors and banks, and insurance companies because they are “too important to our economy to let fail”. Yet our state can justify taking billions of dollars away from children to pay for their irresponsible handling of our state finances. I am not at all politically correct on any of this. I’m a teacher, and I believe that the only investment that we can’t afford to let fail is the investment in our kids. Only that investment will result in positive change for our country, growth in science, space exploration, technology, energy conservation, creativity, the arts, culture and a better future for the next generation. Without quality education, we are looking at a spiraling decline in our culture, and in our way of life. Did you hear my Band earlier. They’re pretty good, They’re not real good yet of course, because they’re young, they’re learning. They haven’t had the time necessary to fully learn or develop their skills, but they’re working on it. Some of them have only been playing their instruments a few months, some for 3 years. Oh they’re getting better, but in this current budget crises, they may never get the opportunity to develop their full potential in music or the arts, or in their creativity. It takes years of dedication and instruction and practice to become proficient on an instrument, or at writing, or to become a great artist, actor, or dancer. Of course, now there will be no music program next year, because the state and my district have determined that “my services are no longer required”. Of all the damage that this new budget will do to education, it is in the arts that it has delivered a mortal blow. My pink slip is one testimony to that, but right now, around the state as I speak, hundreds of arts programs are being eliminated. 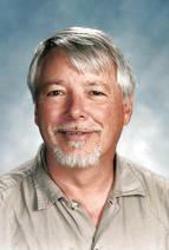 The director of the High School Program here in the Valley has also been given his pink slip. Building a program takes years. It has taken me 10 years to develop the program in Buellton to be as effective as it is. But the state and my district have determined that my “services are no longer required”. Without some sort of miracle, the arts in Buellton, or Solvang, or College school district, or the High school or any of the other districts in this Valley will not survive. I don’t believe that everything is hopeless however. I’m an optimist like my dad. I believe in miracles, and miracles was even my topic at one of those state conferences that I spoke at last year. I entitled it. – “Community, the heart of the Arts”. If you look around, and walk around the park today, you will find tables, and volunteers already in the business of making miracles. They’re called volunteers, and donors, and concerned parents and citizens. They support the arts education that occurs in many of the schools in this valley already. This is ‘Pink Day’, and you are all wearing Pink to protest the idiocy of this annual ritualistic sacrifice of teachers. I thought it might be good to conclude my talk today by letting you all hear what a pink slip actually sounds like. This is mine. “Notice of Recommendation Not to Re-Employ – March 12, 2009. Dear Mr. Zell, – “Please take note that I have recommend(ed) to the Board of Trustees of Buellton Union School district that notice be given to you that your services will not be required by this school district for the ensuing 2009-2010 school year. At the regularly scheduled board meeting held on March 11, 2009 the Board of Trustees voted in favor of this decision. The following particular kinds of service will be discontinued or reduced for the 2009-2010 school year: 1. Elementary Teaching – 2.0 FTE, 2. Music – 1.0 FTE. Because of the foregoing reasons, it is necessary to decrease the number of certificated employees of the District. You are further notified that there is no probationary or permanent certificated employee with less seniority retained who is rendering service which you are credentialed and competent to render. I can’t tell you how devastating the emotional effects of a note like this are. Anger, frustration, humiliation, helplessness, hopelessness. When I received this letter, it was like someone reaching inside and taking my heart out, because my heart is in the music program. My heart, my passion is teaching these kids, but my State and my district say that “my services are no longer required”. You know something people, That is a lie. My services are required, desperately, and so are the services of every teacher in this state who got one of these pink slips this month. Stop this madness. Fund education and invest in our children. Oh, – and one other thing. This Pink-Slip. I intend to send it to Governor Schwarzenegger, and a copy to my state Representatives, and the Senate and Assembly Education Committees. What if all 30,000 teachers in the state that got pink-slipped did that. Maybe that would help them to see the irreparable damage they are doing to our kids. You can help too, write your state representatives and the governor. Let them know that you think that education is too important to let fail. Thank-you. That is a really sad letter to read. I’m not even sure how we can expect to compete in a global economy with overcrowded classrooms and a lack of resources. Somehow, I really do not feel as though Gov. Schwarzenegger has done a better job than former Gov. Gray Davis. Is that just me?